• Do not overfill with engine oil. Engine damage may result. 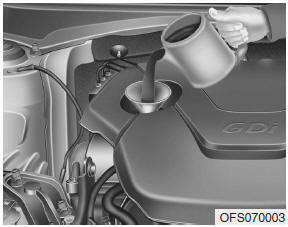 • Do not spill engine oil, when adding or changing engine oil. 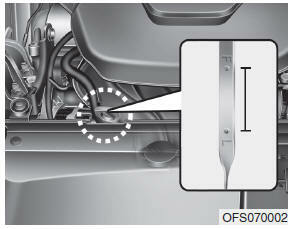 If you drop the engine oil on the engine room, wipe it off immediately.